2018 AP Exam fees. Deadline March 30! Official Collegeboard AP Exam fee: $94 per test Harmony Science Academy – El Paso fee for Free/ Reduced Lunch students: $15 – 1 Exam, $30 – 2 Exams, $40 – 3 exams, $50 – 4 exams, $55 – 5 exams, $60 – 6 exams Harmony Science Academy – El Paso fee for Paid Lunch students: $20 – 1 Exam, $40 – 2 Exams, $55 – 3 exams, $65 – 4 exams, $75 – 5 exams, $85 – 6 exams Make the payments to the front desk by Friday, March 30, 2018 4:00pm. Please tell the front desk personnel for which AP subjects you are paying specifically and please let them know if you are not planning to take the AP Exam for certain subjects. As a school administration, we highly encourage all students to take the AP Exam for the subjects you feel/know you can perform well. If you think you will not perform well on a certain test, it is still your right to take it and see how you perform, however you can also not take the test for that subject. Financial obstacles should not be a reason for not taking an AP Exam. Remember that the $15 or $20 that you pay can save you thousands of dollars in college if you pass the test. If you can’t pay the test fee by March 30, please talk to Mr. Davletshin (Mr. D) about a possible extension of a payment deadline. https://harmonypublicschools.network/hsaelpaso-new/wp-content/uploads/sites/121/2017/10/HSA-El-Paso-white-letters-300px.png 0 0 tkilic https://harmonypublicschools.network/hsaelpaso-new/wp-content/uploads/sites/121/2017/10/HSA-El-Paso-white-letters-300px.png tkilic2018-03-23 08:13:062018-03-23 08:22:592018 AP Exam fees. Deadline March 30! 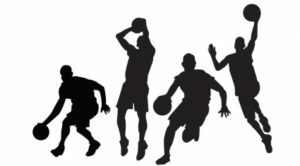 HSA Middle School Basketball Team had a very successful first season. 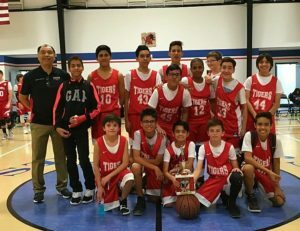 HSA Middle School Basketball Team had a very successful first season. Our record was 11 wins with 2 losses. https://harmonypublicschools.network/hsaelpaso-new/wp-content/uploads/sites/121/2017/10/HSA-El-Paso-white-letters-300px.png 0 0 tkilic https://harmonypublicschools.network/hsaelpaso-new/wp-content/uploads/sites/121/2017/10/HSA-El-Paso-white-letters-300px.png tkilic2018-03-07 14:11:002018-03-07 14:12:58HSA Middle School Basketball Team had a very successful first season. Middle School Basketball Team defeated St. Marks for 3rd place at the SWCAA Basketball Tournament.